Dennis Lee (born on August 31 in Toronto) is widely regarded as Canada’s best-loved children’s poet and his work has garnered many awards including the Governor General’s Award for Poetry, Canadian Association of Children’s Librarians Best Book Medals, Hans Christian Andersen Honour List citation, Canadian Library Association Award, and Canadian Library Association Book of the Year for Children nomination. During his career, Lee has worked as a lecturer in English, as an editorial consultant, poetry editor, as the co-founder and editor of the House of Anansi Press in Toronto, and as a lyricist for the TV series “Fraggle Rock.” He also contributed to the scripts for the films, “The Dark Crystal” and “Labyrinth.” Dennis Lee holds an honorary doctorate from Trent University and his manuscripts and papers are in a permanent collection at the Fisher Rare Book Room at the University of Toronto. The writing of Canadian poet Dennis Lee is often compared to that of Shel Silverstein or Jack Prelutsky because of his use of zany humor, strong rhythm, and child-friendly topics. Although he may not be as familiar to audiences in the United States, his work still holds wide appeal. In addition, he incorporates many uniquely Canadian references in his verses, easily understandable in context, but offering an added layer of richness to the poems—much like the use of Spanish words in the poems of Gary Soto or Pat Mora. For an example of Lee’s work, look for The Ice Cream Store (HarperCollins, 1999), full of inventive, energetic and off-the-wall humor. From the title poem on, he celebrates the diversity of children comparing them to ice cream flavors such as chocolate, vanilla, and maple. His rhythmical poems invite children to read or sing along. Take his poem, "A Home Like a Hiccup," for example, that asks children to speculate about what they would be like if they had been born in a different place, and then provides a litany of place names that are fun to pronounce, “Like Minsk! or Omsk! or Tomsk! or Bratsk!” In the end, however, there’s no place like home, and children can provide the name of their individual hometowns when the last line is read aloud, “So the name of MY place is _____________.” Invite the children to locate the poem places on a map or mark the places that they were born or have lived. Like Minsk! or Omsk! or Tomsk! or Bratsk! Like Orsk or Kansk! like Kirsk or Murmansk! Or even Pskov or Moskva! Or Torre Maggiore, or Roma. Now, those are places of great renown. So the name of MY place is _____________ . For more info about Dennis Lee, look for Poetry People; A Practical Guide to Children's Poets (Libraries Unlimited, 2007). It’s that time again here in Texas; kids are heading back to school. So, it’s time to dig up some poetry about school and school life, of course. 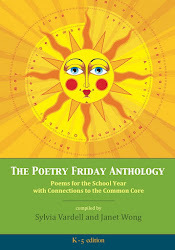 Children often particularly enjoy poetry about school since most of their daily lives are spent there. The ups and downs of classroom life make fine grist for both humorous and serious poetry. 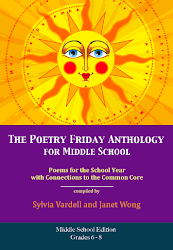 Look for these books of poems about school and share them now and throughout the school year. Dakos, Kalli. 1990. If You're Not Here, Please Raise Your Hand; Poems About School. New York: Simon & Schuster. Dakos, Kalli. 1993. Don't Read This Book, Whatever You Do! More Poems About School. New York: Four Winds Press. George, Kristine O’Connell. 2002. Swimming Upstream: Middle School Poems. New York: Clarion. Heide, Florence Parry and Pierce, Roxanne Heide. 1996. Oh, Grow Up! 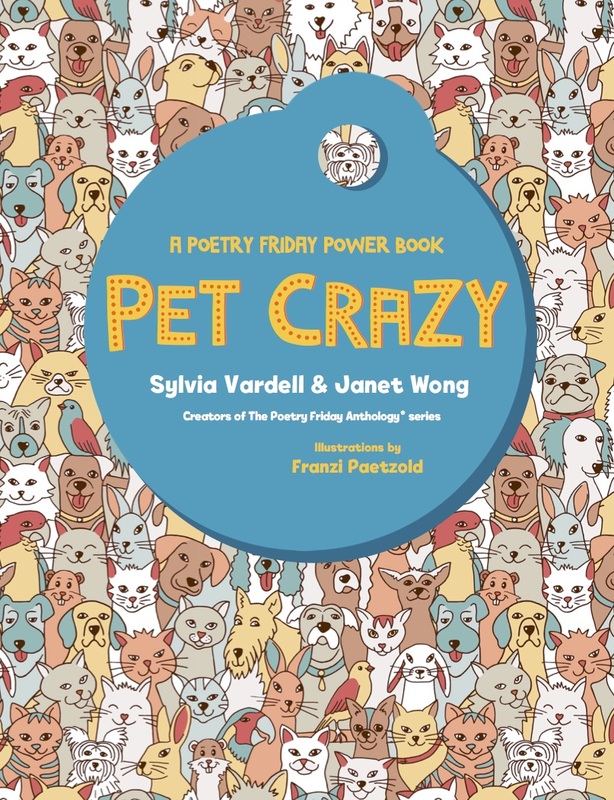 Poems To Help You Survive Parents, Chores, School, And Other Afflictions. New York: Orchard. Hopkins, Lee Bennett, comp. 1996. School Supplies: A Book of Poems. Simon & Schuster. Kennedy, Dorothy M, comp. 1993. I Thought I'd Take My Rat To School: Poems for September to June. New York: Little, Brown. Lansky, Bruce, comp. 1997. No More Homework! No More Tests! 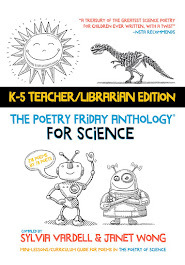 Kids Favorite Funny School Poems. Minnetonka, MN: Meadowbrook Press. Opie, Iona and Peter Opie, eds. 1992. I Saw Esau: The Schoolchild's Pocket Book. Cambridge, MA: Candlewick. Paraskevas, Betty. 1995. Gracie Graves and the Kids from Room 402. San Diego, CA: Harcourt. Prelutsky, Jack, comp. 2003. I Like It Here at School. New York: Scholastic. There are also several YA novels in verse that focus on school life for teens such as Nikki Grimes novel plus poetry, Bronx Masquerade (Dial, 2002), Ron Koertge’s verse novel, The Brimstone Journals (Candlewick, 2001), or Mel Glenn’s classic verse novels, Class Dismissed! 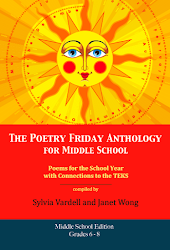 High School Poems (Clarion, 1982) or Split Image (HarperCollins, 2000), among many others. Choosing my favorite back-to-school poem is a bit harder, there are so many I like. Here’s one that just begs for participation and is particularly good for the beginning of the school year as we familiarize children with the routine of the school day (once again). It’s “Pledge” by Carol Diggory Shields, who is a librarian and poet who focuses on school and the curriculum in her various collections. This one is from Lunch Money and Other Poems About School (Dutton, 1995). Sam, you're on my toe! 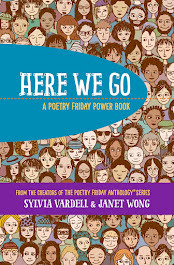 A teacher friend, Ruth Tsay, suggested this poem be read aloud by alternating voices. The whole group can begin, reading alternating lines that are the lines of the Pledge of Allegiance (in red). Individual volunteers can each read one of the (italicized) lines that alternate with the pledge lines, such as “Vanessa, stop pushing!” or “Hey, Joey, hey Joey!” For maximum dramatic effect, line up and perform the poem with motions suggested by the words. It’s a humorous look at how wiggly children often behave during such recitations. As a corollary, it might also be fun to look at the history of the pledge, with its interesting twists and turns. For example, did you know that the Pledge of Allegiance was written for the popular children's magazine, Youth's Companion? That it was part of a marketing campaign to sell flags to schools in celebration of the 400th anniversary of Columbus arriving in the Americas? That the original pledge was supposed to be quick and to the point and stated in 15 seconds, but was revised and expanded several times? That it was first used in public schools on October 12, 1892, but not officially recognized as the national pledge until 1945? Best wishes for a wonderful school year for all those who are academically inclined. My school year starts Monday! The Grandmere of Contemporary Children’s Poetry, Myra Cohn Livingston, was born on this day. Let’s pause to honor her amazing legacy. Myra Cohn Livingston was born on August 17, 1926 in Omaha, Nebraska. She earned her bachelor’s degree from Sarah Lawrence College and worked as a professional French horn musician, reviewed books for Los Angeles newspapers, and served as a personal secretary to singer Dinah Shore and later to violinist Jascha Heifetz. She published her first book of poetry for children, Whispers and Other Poems, in 1958 and continued to write, teach, and mentor other poets until her death on August 23, 1996, in Los Angeles, California. She was married and had three children. Livingston’s numerous awards include: Texas Institute of Letters award, Parent’s Choice Award, National Jewish Book Award, and the University of Minnesota Kerlan Award, among many others. She was also the recipient of the National Council of Teachers of English Award for Excellence in Poetry for Children for her entire body of work. This year Holiday House is publishing one of Livingston’s early poems in a lovely new picture book format illustrated by Will Hillenbrand. The book features one poem, “Calendar,” from Wide Awake and Other Poems which first appeared in 1959. Each line of the poem appears in an oversize font on a double page spread featuring Ezra Jack Keats-like collages. The effect is an inviting walk through the year highlighting moments familiar and appealing to many young children. Kudos to Holiday House for featuring Livingston’s lyrical poetry in a new release, particularly since so many of her gems are sadly out of print. 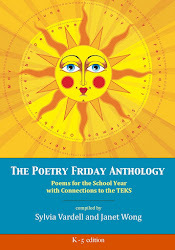 These wonderful collections are examples of what poetry anthologies are all about. Children may enjoy assembling their own collections centered around a favorite theme or topic. Finally, Myra Cohn Livingston also authored several important professional resources for adults who work with children including The Child As Poet: Myth Or Reality? (Horn Book 1984), Climb Into The Bell Tower: Essays On Poetry (Harper 1990), and Poem-Making: Ways to Begin Writing Poetry (Harper 1991), a book suitable for young people who aspire to be writers, too. 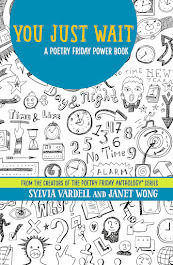 For more about Livingston and many of the other poets she nurtured, check out Poetry People; A Practical Guide To Children's Poets (Libraries Unlimited, 2007). I had the opportunity to meet poet Betsy Franco this summer when she kindly participated in the Poetry Jam session I moderated at the ALA conference in Washington, D.C. in June. What a fun person! Petite, dynamic, and direct, with a quick sense of humor, she won the crowd with her personality AND her poetry. Today is her birthday, so I’d like to send a shout out to her and nudge you all to check out her work, which ranges widely from rhythmic and even math-related poetry for the very young to edited anthologies of the writing of teens. She is a former teacher and educational publisher with a studio art degree from Stanford and a master’s degree in education from Lesley College in Massachusetts. She is married, with three sons, and lives in Palo Alto, California. Her writing (numbering 40+ books) has been recognized on the American Library Association's list of Best Books for Young Adults and on the New York Public Library list of Books for the Teen Age. It's poet and author Mary Ann Hoberman’s birthday, so I’d like to post this little bio-tribute to her and her work. 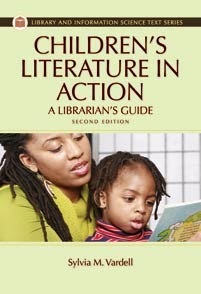 For more complete information, please look for Poetry People; A Practical Guide to Children's Poets (Libraries Unlimited, 2007). Mary Ann Hoberman was born on August 12, 1930, in Stamford, Connecticut. As a teenager, she wrote for her school newspaper and edited her high school yearbook. She received a bachelor’s degree in history from Smith College and earned her master’s degree in English Literature from Yale University thirty-five years later. In the mean time, she married and had four children. She and her husband have lived for over forty years in a house that her husband designed in Greenwich, Connecticut. Hoberman has taught writing and literature at all levels and co-founded and performed with a children’s theatre group. But when her first book was published in 1957, she turned her attention to writing for children. Her work has received many citations including a National Book Award in 1983 for A House is a House for Me. She received the National Council of Teachers of English Excellence in Poetry for Children Award in 2003 for her entire body of work. Mary Ann Hoberman’s poetry often targets our youngest audience with rhythm and repetition, usually published in picture book form or as “read aloud” rhyming “stories,” such as in You Read to Me, I'll Read to You: Very Short Fairy Tales to Read Together (Little Brown, 2004). 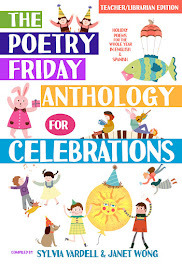 Other inviting collections include The Llama Who Had No Pajama: 100 Favorite Poems (Harcourt, 1998), Fathers, Mothers, Sisters, Brothers: A Collection of Family Poems (Little Brown, 2001) and My Song is Beautiful: Poems and Pictures in Many Voices (Little Brown, 1994). For one outstanding example of Hoberman’s style, look for her poem “Take Sound” which she composed especially for the ceremony at which she was given the National Council of Teachers of English Award for Excellence in Poetry for Children. It also appears in Paul Janeczko’s poetry anthology Seeing the Blue Between (Candlewick, 2002). Hoberman acknowledges that the poem pays homage to the great children's poet David McCord, the first recipient of the award, and in particular to his poem, "Take Sky," by echoing its title and cadence. 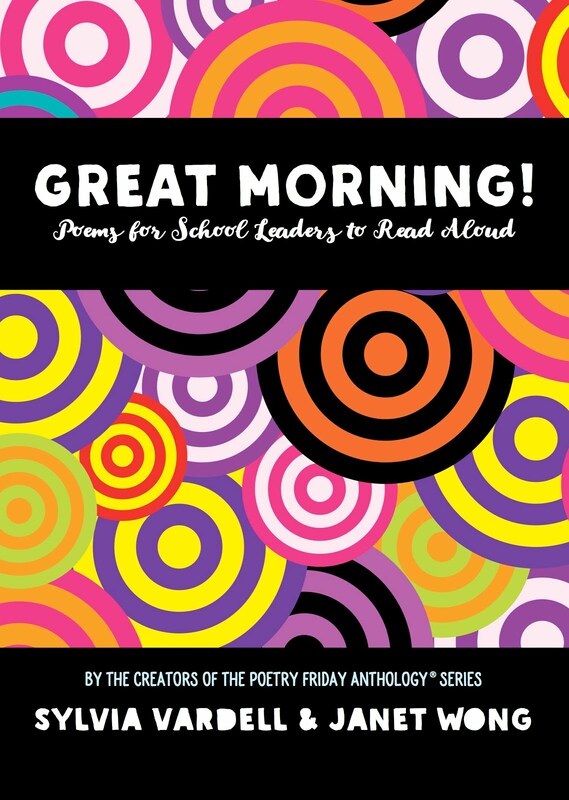 It focuses on the pleasures of sharing the sounds and words of poetry with children and is a great way to begin a poetry lesson or unit or just to celebrate Hoberman’s gift for poetic expression. Oh I felt so sad to hear such an organized plan. Nye, Naomi Shihab. 2005. A Maze Me; Poems for Girls. New York: Greenwillow, pp. 76-77.